If the Pixies were going to take on a male bass player then Steve Hanley would be a top choice. FB to present and discus the movie Brazil, performing some songs afterwards in NC. 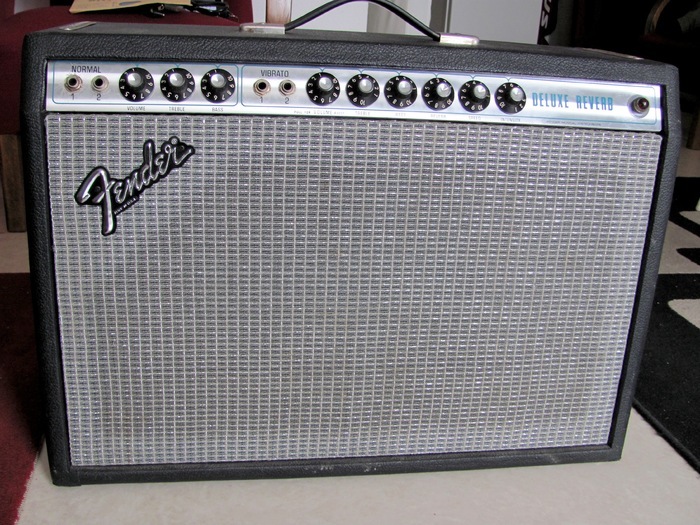 What do you think the silverface Fender is? At 4:19 here, WIMM using freaky computers will take-over the world technology. Kim and Dave in a box. sounds really tame. the snare is drier than a nun's.. glass of very dry gin. http://www.earmilk.com/2015/05/06/du-tonc-continues-their-reign-of-vibes-reworking-this-pixies-classic-download/ Monkey Gone To Heaven Dance mix,free download. https://www.youtube.com/watch?v=tbPAvl7QA20 Interview with Moses Schneider who worked with Pixies at Hansa Studios in Berlin.Pixies mentioned only in the first minutes,the rest of the interview covers his drum recording techniques. My initial listen of Indie Cindy was all right. Some songs I liked, others were just there. Based on past experience with Frank's songwriting, I know my opinions could easily shift with time. But as a first listen, it felt more like a Frank Black solo album than a Pixies record, though there were moments where Joey's guitar really did sing in that Pixiesque way. https://www.youtube.com/?#/watch?v=SotX0WZZnmQ Steve Albini WTF podcast interview. Hello o stranger on this empty forum. Thanks picpic for correcting that.We will have to wait until the Corona Capital Pixies concert in Mexico for the furum to return to life again.Unless the band make an announcement of things to come. I think Albini resents the Pixies because he violated his engineer-only ethos on Surfer Rosa, and he blames them. They were "four cows anxious to be led around by their nose rings" so it's not his fault. Maybe Albini feels the same way BF does when asked by journos about that Kurt Cobain quote when he gets asked about the Pixies or Nirvana. I guess it would get boring after a while. What counts in the end is how great Surfer Rosa sounds. The only complaint I have is Albini convincing them to change I'm Amazed from the Purple Tape version. I like how it is on Surfer but when I heard the original version I couldn't believe they changed it. The Purple tape one is so much better. "I was mean writing about the Pixies in a Forced Exposure article. I was being rude in an effort to be genuine and it comes off petulant. I regret that. The band didn't deserve that, regardless what I thought of them." I heard about him recanting. Surfer Rosa blew me away...oh, right...I was AMAZED, indeed Sprite at how good it was. First record from the Pixies I purchased. I guess the thing that bugs me is Albini is held up as this God like genius. On the other hand, Come on Pilgrim producer Gary Smith is barely acknowledged. True. I dearly love all the Pixies albums but the ones I return to most are Trompe and Come on Pilgrim. I heard bits of Blue Eyed Hexe and Silver Snail in an episode of Top Gear, S21E03 in the trip through Ukraine. And Velouria in the Patagonia Special. All over the world in a (semi-)classical arrangement. This was more than postable ! Another postable one from the same user ! Black Francis interview from 1991 about Trompe Le Monde.. Nice one. About "Space I Believe In": Jefrey with one F is Eric Drew Feldman's older brother, he's an strange older guy who once jammed with Ravi Shankar. He sat in a studio on an oriental carpet, which becames a magic carpet. And his California license plate is D=RXT. I new about Jefrey being Eric's brother but not about the license plate. That is very cool piece of triva. Funny, now I hear the tablas in Space I Believe In. Never noticed those before. And I think I found a video of Jefrey with one F playing the tablas: https://www.youtube.com/watch?v=5sGr1OCSCFA. Nice find, that video. And in over 100 listens I had never heard those tablas in the song either! WTF.